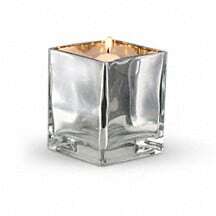 Cool and contemporary yet also sweet and warm, this delightful bouquet of floral favorites in a silver cube vase makes an enchanting gift. 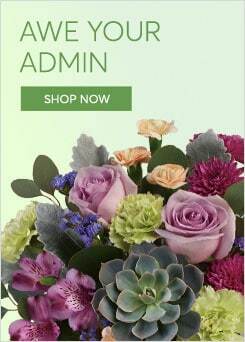 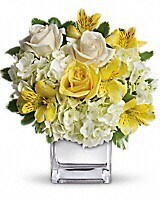 She'll love this sunny gift - and you'll love the sunny price tag. 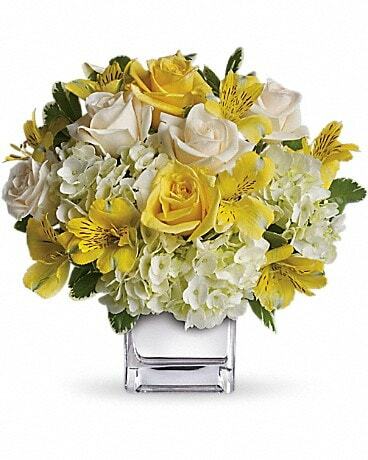 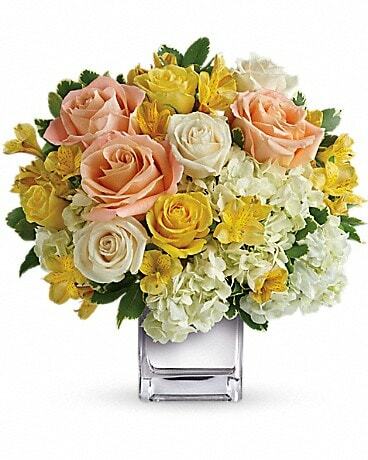 Fresh as an April morning, this cheerful array of yellow roses, crème roses and other favorites in a sparkling silver cube vase will be an instant favorite. Who could resist its sunny charms?